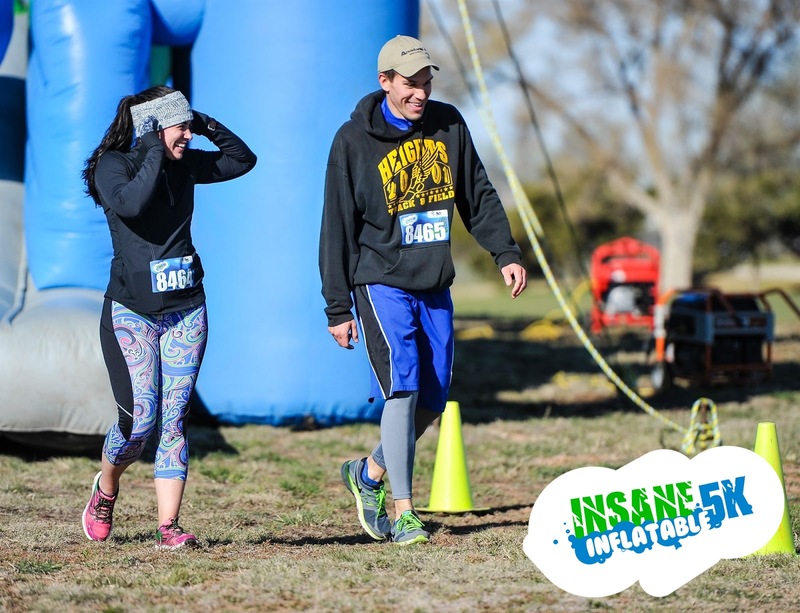 Insane and Inflatable is a fairly accurate description of the 5K Alex and I ran earlier this month. I’ve wanted to run this race for a while now. I mean, the name alone makes it sound like a giant adult bouncy house. How could that not be fun? We drove down to Lubbock early in the morning, and it was a cold morning. Here it is, April, and we’re looking at 33-degree racing temperatures. I had to completely forgo the super girl costume I was going to wear, and instead don a more comfortable and much warmer Skirt Sports Khaleesi pullover with redemption capri’s—a much wiser choice in fitness apparel. Alex even had to layer up too. We had to bundle up to keep warm! Wow, this race was so much fun! 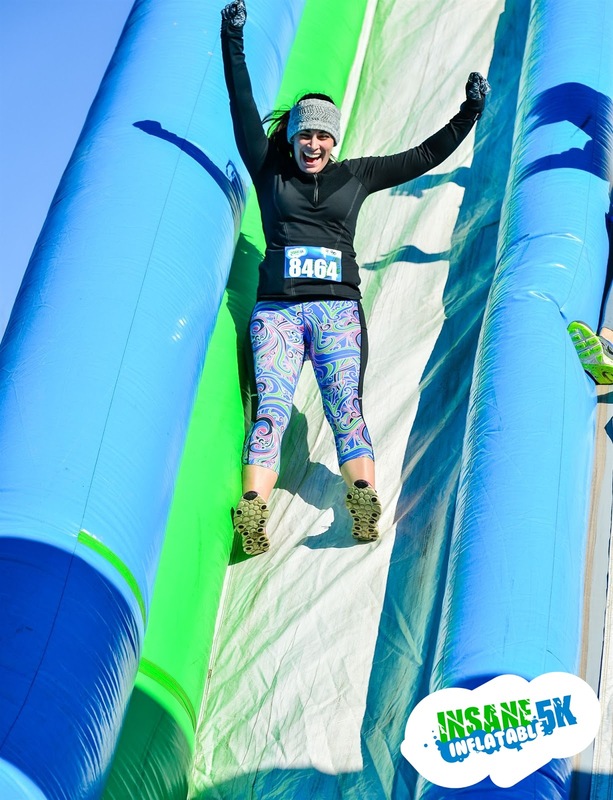 The obstacles were a blast. 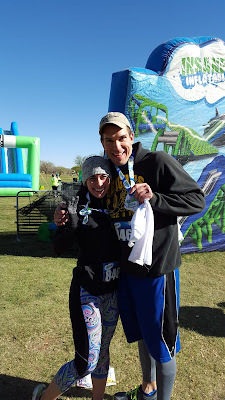 Although just about everyone around us was running through them as fast as they could, Alex and I took our time and bounced around like a couple of kids. I mean, what else are we supposed to do when faced with giant bouncy houses? The fun of the bouncy houses even had us running faster than we normally do from obstacle to obstacle, just to get to the next bout of goofiness. There were inflatable balls to dodge or kick, inflatable cones to avoid or tackle, many inflatable ladders to climb so that we could slide down the very tall inflatable slides, just straight up inflatable bouncy houses, and even inflatable hills to bound upon. 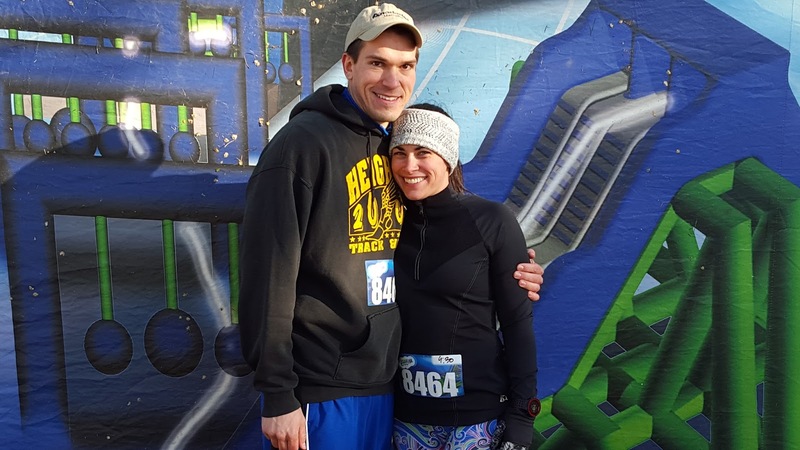 We finished each obstacle out of breath and tired. I guess jumping and bouncing are pretty good workouts. Another awesome thing about this race--the swag! We got shirts, medals, and even cake balls. 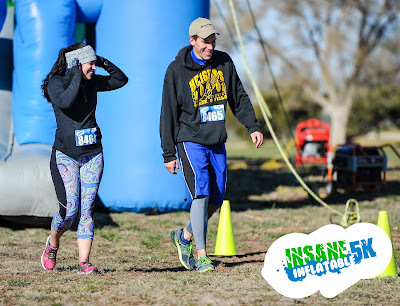 I had such a great time running the Insane Inflatable 5K, that I am considering signing up for another one this weekend. I’m coming to the end of my time as the Canyon Ward Young Women President since we’ll be moving in the summer. I’ve learned so much in this calling, and I have had the pleasure of working with and serving such wonderful, inspirational young women. These girls give me so much hope in the future. When I first was called as young women’s president, I felt overwhelmed—especially in planning mutual activities! I wasn’t sure how I was going to not only choose activities the girls would enjoy and attend, but also plan them, organize them, and ensure they even occurred…each and every week. That, along with the other responsibilities I was called to seemed daunting. After realizing that I was becoming far too stressed out trying to do this on my own, did I also realize that this should be a girl-run program. So, I changed my approach. Instead of just asking the girls for suggestions and trying to incorporate these into a big plan, I instead made the first activity of the year a planning activity. All the girls attending each got a space on a chalk board and took five minutes to write a list of any activity that came to mind that they would enjoy. Afterwards, we sat down and I had my laptop open to a calendar document, in which I had already included the currently planned stake and church activities, we started filling in activities with dates. Additionally, and this is the part that has brought so much success to the program in our ward this year, we chose a girl to lead and plan each activity. Usually it was the girl who came up with the idea, and some of these activities had two girls in charge. Since we had a stake young women presidency member and our bishop in attendance, we were able to get approval on our activities right there and then. Along with a girl being assigned as the POC (point of contact) for each activity, I made sure I had a young women leader assigned as well to offer advice and help as needed. However, I wanted the girls to do the leading and work on these activities, so the leader was there as they were needed. If the activity didn’t get planned, or if it just plain fell through in spite of planning, we would make sure to have an easy back-up activity. Usually, it was a personal progress project, which also seemed to motivate the girls to follow through with their commitment to plan. About six weeks out from each activity, I would create a checklist for the girl in charge so that she would know what was expected of her and what needed to be completed for the activity to be successful. The young women said that these checklists took the stress and uncertainty out of coordinating their activities, and as the leaders would follow up with the girls on these tasks, they felt that they were being held accountable for their activities. Basically, the checklist included: announce the activity, decide on a location for the activity, decide on a time for the activity, coordinate refreshments if desired, make sure to have proper authorization if needed, and acquire items needed for activity (have a leader assist if needed). None of the activities were too complicated, so this basic checklist worked for just about all our activities. - Where's Waldo: we went to a mall and had to find six members of our congregation. These "Waldo's" dressed up in disguise and stayed in one area of the mall for the 45-minute activity as the girls searched for them. Once found, they were to take a photo of them. At the end, there was a brief spiritual thought about finding others to share our light with, prizes, and a snack. 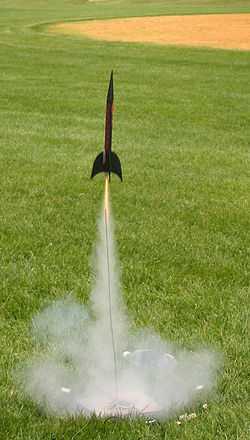 - Rockets: over three activities, the girls assembled, decorated, and launched hobby rockets. They learned very very basic rocket science over lift and engine function while assembling. They also learned problem solving for the times the rockets weren't launching as they should. This is also a great activity to invite families to as younger children love to chase after and catch the rockets as they float down. - Glow-in-the-Dark Olympics: we did this as a joint activity with the young men. Our young women in charge procured glow-in-the-dark paint and tape which we used to cover volleyballs, soccer balls, basketballs, and the youth. They also sported glow bands, necklaces, hats, really any sort of light-up accessory. She brought black lights and the youth played these games in the dark, along with a relay using a glow stick at the baton. They had a blast, and were rewarded with glow-in-the-dark medals. In this activity, they learned teamwork and the importance of communication. - Heart Attack Service Project: this was our Valentine's Day activity. We made big signs that we covered with Valentine's, candy, and attached balloons to. Each sign had a personalized message for our intended recipients, something inspirational that conveyed the girls' love for each individual. Then, we drove out to the houses and quietly taped the signs to the doors, then rang the doorbell and hid to watch the person receive their gift. The girls really loved this one. - Pinewood Derby: the girls wanted a young woman pinewood derby, and so we had one. I passed out pinewood derby cars to the girls, and the young women in charge coordinated the location, prizes, refreshments, and procured the track. We decided that we weren't going to have any rules for car assembly since this was not an official race. The girls had a blast creating their cars and racing them, as did their dads. 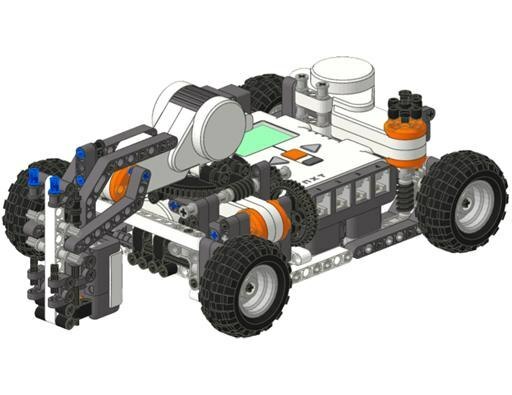 - Robotics and Programming: our bishop is a Computer Science professor at the local college, so we did an activity where he taught the girls how to do basic programing of Lego robots. He wrote up four objectives and the girls could choose which one to complete with their robots. This activity was great for our science-minded girls, and even the ones who thought they wouldn't enjoy it found they had fun as they had to solve problems and puzzles with their own robots. We also did plenty of homemaking activities, like sewing skirt extenders and casserole carriers, making cupcakes and delivering them to friends of our girls, and cooking dinners at the Ronald McDonald House. I found that the girls really just wanted a variety of activities, so that's what we gave them. The girls took charge of their mutual activities when we put them in charge of their mutual activities. Since this is to be a girl-led program, having the girls actually lead and plan was an effective way to put this into practice. Not only were we doing activities the young women actually wanted to do, but with them in charge, they were personally invested in the success of the activities. And, since everyone had a chance to lead an activity, the girls were more eager to participate so that they could support each other and help each other be successful.